disease complex (kennel cough) is not a vaccine-preventable disease and the vaccine should only be used to help manage the disease.” That is, don’t waste your money. Unfortunately, your veterinarian, kennel owner, trainer, day care provider or groomer says your dog should/must be vaccinated against kennel cough, but you’re trying not to over-vaccinate. More and more, people with pets are finding another vet, kennel owner, day care provider or groomer — or keeping their pet at home! Vaccination is a serious medical procedure with significant risks. 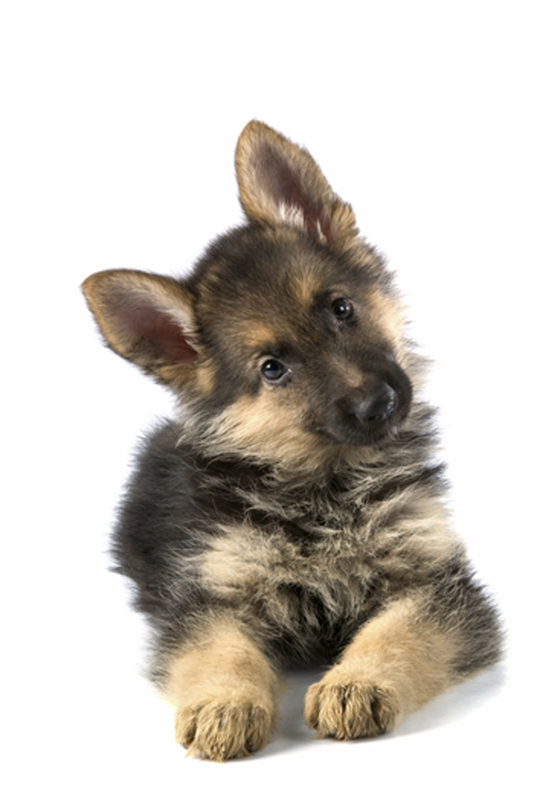 If that weren’t bad enough, the “kennel cough” vaccine is unlikely to prevent kennel cough! It can even produce kennel-cough like symptoms. The WSAVA Guidelines say, “Transient (3–10 days) coughing, sneezing, or nasal discharge may occur in a small percentage of vaccinates.” It can also cause a serious anaphylactoid reaction. Look up anaphylactoid. You won’t like it. Regarding kennels, day care and grooming facilities: In general, if they have good ventilation and practice good hygiene, kennel cough shouldn’t even be an issue. Bordetella is not for dogs playing together in well-ventilated areas — like dog parks or backyards or living rooms. It’s for dogs in close quarters, like kennels. That’s why it’s called kennel cough! Think of kennel cough as a canine cold, transmitted as human colds are transmitted — from an infected individual in close contact with an individual with compromised immunity. Like a cold, it is also considered a mild self-limiting disease. If humans can’t effectively be vaccinated against a cold, how can pets? A veterinarian friend uses an OTC remedy called B & T Cough and Bronchial Syrup to treat the cough. For small dogs she uses the children’s variety. See your vet for further treatment information. If your service provider is afraid your dog will contract kennel cough at their establishment, offer to sign a waiver saying you’ve been informed of the risk and will waive liability if your pet falls ill. That should do it. Should. It’s often just liability at issue, not a question of health. If the person insisting on the bordetella vaccine is afraid other dogs at their establishment will contract kennel cough from your unvaccinated dog, this person clearly doesn’t trust that the vaccinated dogs actually have immunity. If they don’t believe the vaccine is protective, why insist that you or anyone else vaccinate? Note: If you decide to give the vaccine, make sure it is the intranasal form, that is, given as nose drops, not injected. And give the vaccine at least 2 weeks before contact with other dogs, for the sake of both your dog and other dogs. From Dr. Eric Barchas: “I generally do not recommend kennel cough vaccines unless dogs are staying in a boarding facility that requires them (and even then I don’t truly recommend vaccination — instead, I recommend finding a facility that doesn’t require them). Bordetella or Kennel Cough is commonly required by boarding kennels and veterinary hospitals. These vaccinations are delivered to a staggeringly large percentage of dogs and the reason is not to protect your dog: the reason is to protect these facilities against liability. The proprietors who push for these vaccines may be assuming more liability than they can handle and the stakes are very high. The truth is, the vaccines are not only ineffective but they are far from safe. Yet they are routinely given to combat a self limiting disease that amounts to as much danger to your dog as the common cold does to you. What is interesting is that when you bring your dog to the vet for his Bordetella vaccination, he will have already been exposed to the natural flora: all animals are exposed to both Bordetella and Parainfluenza prior to vaccination. It makes little sense to vaccinate an animal for something he has already been exposed to. There are at least forty agents capable of initiating Bordetella so vaccination might appear to be prudent if it weren’t for the fact that only two of these agents are contained in the intranasal vaccine. This poor percentage truly makes the Bordetella vaccine a shot in the dark. The lack of efficacy is well summarized by noted immunologist Dr. Ronald Schultz: “Kennel Cough is not a vaccinatable disease”. Despite the lack of any real effectiveness, the Bordetella vaccine is routinely given and touted as safe, especially in the intranasal form. Make no mistake however: the dangers and misinformation surrounding this seemingly innocuous spray are just as tangible and frightening as any other vaccination. A major problem with the Bordetella vaccine is that it is part of a combination vaccine. Unbeknownst to most pet owners, the Bordetella intranasal spray also contains Parainfluenza (the vaccine for which is not surprisingly, just as ineffective as Bordetella). The problems with the Parainfluenza portion are threefold. First, there is a real danger of dangerous immunological overload when vaccinations are offered in combination. Second, like Bordetella, most dogs have already been exposed to Parainfluenza, making the necessity of vaccination questionable. Third, the Parainfluenza vaccine is just as ineffective as the Bordetella vaccine because the vaccine does not provide antibody against Parainfluenza where it is most needed: on the mucosal surfaces. Other dangers associated with the Bordetella vaccine are obviously not far removed from the dangers associated with any other vaccination. Although Bordetella is a bacterial vaccine, we now know that bacterial vaccines present the same threat as Modified Live Vaccines. Modified Live Viruses from human vaccines are now known to become incorporated in the genes of the host and can shuffle, reassert, and reactivate thirty or more years after vaccination. Bacterial genes are capable of the same activity, lurking in the genetic makeup, waiting to replicate and awaken. The intranasal Bordetella vaccine has been known to activate a previously asymptomatic collapsing trachea and disrupt phagocytic activity which can progress to pneumonia. The toxins from the vaccine will also kill the ciliated lining of the trachea, creating a denuded area susceptible to anything coming down the windpipe. Perhaps collapsing trachea, irritable tracheas and pneumonias are all complications of Bordetella and the Bordetella vaccine. Vaccination of any sort also elevates histamine which can promote cancer, chronic inflammation and loss of tolerance. In general, all vaccination creates immune dysregulation and is responsible for a vast array of pathology. The Bordetella vaccine can wreak havoc outside the body as well. Bordetella will shed from a vaccinated host for seven weeks while Parainfluenza will shed for a week. This means that every vaccinated dog is a walking dispenser of potentially damaging bacteria. While the risk to other dogs is obvious, it should be of little concern to healthy dogs because Bordetella is generally a self limiting disease. What you might find surprising is that the shed bacteria is a risk to other animals…and to people. The reason we now have a feline Bordetella (and not surprisingly, a feline Bordetella vaccine), is likely thanks to the widespread use and subsequent shedding of Bordetella from vaccinated dogs to cats sharing the household. If this seems hard to imagine, consider how dogs first fell victim to Canine Influenza. Canine Influenza was initially documented in racing greyhounds. It is worth noting that many of these dogs shared tracks with race horses: race horses who are routinely vaccinated with Equine Influenza. It is not a stretch to predict Bordetella will infect gerbils, hamsters and rabbits in the near future and it is with certainty that the vaccine manufacturers will be well rewarded with the continued fruits of their canine Bordetella vaccine. Not surprisingly, humans are not left out of the equation. Ruth Berkelman MD (Former Assistant Surgeon General, US Public Health Service) writes: “The potential for both exposure and for adverse consequences secondary to exposure to veterinary vaccines in humans is growing. Enhanced efforts are needed to recognize and to prevent human illness associated with the use of veterinary vaccines”. Dr. Berkelman noted that pertussis an whooping cough-like complaints in children followed exposure to Bordetella bronchiseptica from the Bordetella vaccine and it is no coincidence that Bordetella bronchiseptica and whooping cough pertussis are very closely related. Interestingly, the rate of whooping cough is highest in highly vaccinated populations. Immunocompromised humans and animals are at an elevated risk of infection from these canine vaccines. There is a recently reported case of Bordetella bronchiseptica pneumonia in a kidney and pancreas transplant patient who had to board and subsequently vaccinate her dogs at a veterinary clinic while she was hospitalized. Vaccines contain contaminating agents including mycoplasmas which are also very communicable to humans and other mammals. In the end, vaccination for Bordetella is at best fruitless and at worst, a pathetic fraudulence at the hands of veterinarians and vaccine manufacturers. It is up to you whether or not your dog receives this vaccination and that is not overstating the obvious. Sadly, most pet owners are aware of this but choose vaccination because they feel they are at the mercy of boarding kennels, training schools and veterinarians. Patricia Monahan Jordan is a graduate of the North Carolina College of Veterinary Medicine. She practiced conventional veterinary medicine for twenty years and founded six different veterinary facilities in North Carolina. Dr. Jordan has traced the paths of immunopathology to vaccine administration and uncovered the cycle of disease and the endless cycle of disease management that results from vaccine administration. Dr. Jordan can be reached at www.dr-jordan.com. She is the author of Mark of the Beast, Hidden in Plain Sight. © 2010 Dogs Naturally Magazine. This article may not be reproduced or reprinted in whole or in part without prior written consent of Intuition Publishing. Protecting Dogs From Vaccine ReactionsDog Flu Vaccine: Do You Really Need a Shot for the H3N8 Canine Virus? Both of my chihuahuas were vaccinated for kennel cough before we left them at our usual boarding place. It is a very clean well kept facility and my dogs were boarded inside in an air conditioned kennel room. It was booked and all kennels were full. I picked the dogs up right when arrived home 6 days later and immediately my smaller dog started coughing with a heavy whooping cough type sound. Does it help to have them vaccinated if they can catch kennel cough anyway? What is the point? Greg, you are fortunate to have found a groomer who does not require Bordetella. Take advantage of it — and praise him/her. If your dogs visited the groomer daily, the vaccine would be unnecessary — and ineffective — according to experts I’ve interviewed. If it were my dog (I’m not a vet), I definitely wouldn’t do it. Kennel cough is usually mild. Instead, keep your dog’s immune system strong. to have some stubborn baby teeth removed. After having the spray administered Sept. 11th, within days he began, what they are merely calling “reverse sneezing”, but his little body stiffens up and he can’t do anything while he tries to breathe. Terry, I don’t really understand. Why would he need Bordetella to be crated? If a dog receives the bordetella vaccine intranasally how long would you suggest waiting before taking him to doggie daycare? 2 week moratorium? In this article it states the dog can shed the virus for 7 weeks? The Bordetella vaccine KILLED my beloved 4 lb. Pomeranian. It was given intranasally, and died within a week of pneumonia. Poms already are subject to tracheal collapse, and small dogs can’t deal with having liquid forced into their nose and possibly lungs. Another lawyer driven rule forced upon the paying public with no purpose! Vernon, don’t forget to put the blame on uninformed groomers and others who require the useless kennel cough vaccine. And veterinarians who give this ineffective, dangerous vaccine to dogs who couldn’t benefit from it even if it worked. Oh, and the drug makers. Thanks to Google and your article I think we’ll opt out of that “product or service” and see why they feel it is necessary. Art, please also see this: http://truth4pets.org/question-before-vaccination/ There are a lot of vaccines your dog likely doesn’t need. I cannot keep my dog at home. That’s not fair. He goes to the park twice a day..i do not vaccinate at all. So i know I’m taking a big chance since he’s exposed to many dogs a day. He has to have fun..I’ll deal with disease if he gets one.. If your dog plays with other dogs frequently and is an adult, he has likely picked up passive immunity to many diseases — except rabies.